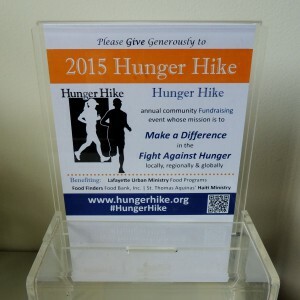 Hunger Hike 2015 is about a month away but funds are starting to trickle in. 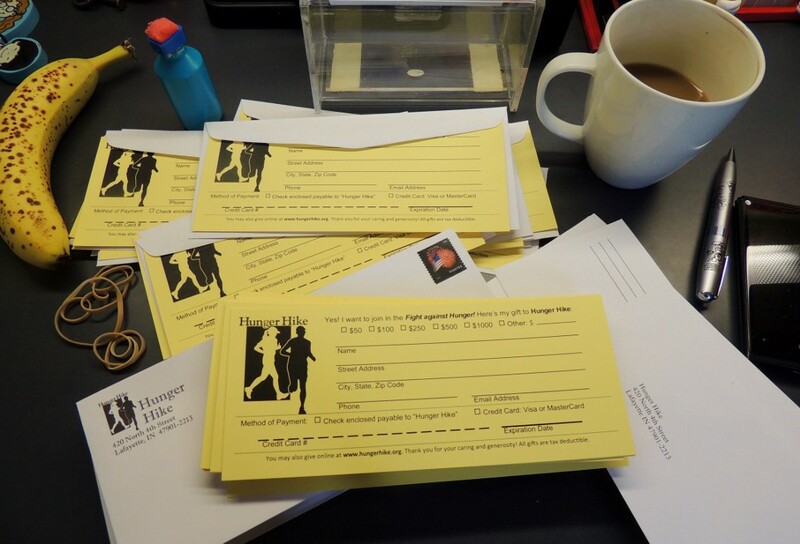 Several local Corporations have already made donations; and a Solicitation Letter has recently been put in the US mail to individual Hunger Hike supporters. (See above — the Hunger Hike team worked diligently to get this mailer put together and in the mail.) Special thanks to Instant Copy (Lafayette) for donating all of the printing. You can even give to Hunger Hike at all of your favorite local Subway restaurants — that all have collection boxes set up for their customers (like you) to donate to Hunger Hike. Oh — and there’s one at Jane’s Deli too. 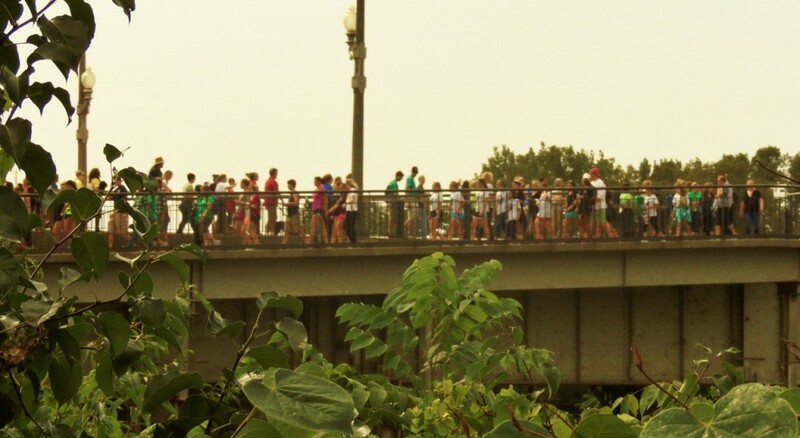 Have YOU started fundraising for Hunger Hike yet? To reach our goal of $100,000 — we really need YOUR participation. Here is how you can get started in the Fight Against Hunger with Hunger Hike 2015. St. Thomas Aquinas’ Haiti Ministry. Hunger Hike is a perfect fundraising event for team or group — like a church group, student organization, organization or your entire family. Form a Hunger Hike team and start raising money for Hunger Hike using our online fundraising site — or any way you choose. We hope you’ll consider joining our Fight against Hunger at Hunger Hike 2015. If you are a company owner — you also may become a Hunger Hike event sponsor. If interested, email hungerhike@lumserve.org.